Montreal is one of my favorite places in Canada where you’re going to see interested architecture and design. This penthouse is the stuff dreams are made of and I almost love the exterior of this building as much as the inside. Bravo to the architect and designer because this property is next level. 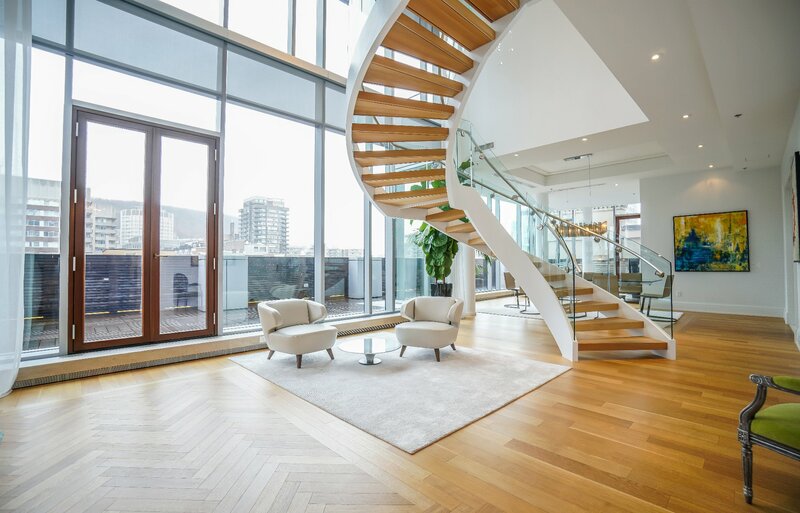 This penthouse is on the market for $6,000,000 CDN and is listed with Marie-Yvonne Paint, one of the top brokers in the area. This stunning penthouse has 2 bedrooms with a den along with 3 bathrooms throughout. The natural light permeates just about every room thanks to the tall ceilings and windows. This property won’t last on the market long as it heats up in Montreal.